Want More Freedom And Flexibility? Try Amazon Flex! Harry here. Last month we shared a post from Scott about his experience delivering packages for a company called Dynamex. There was some confusion, though, as many readers thought this was the same as Amazon Flex. Companies like Dynamex (or OnTrac in California for example) provide last mile delivery for Amazon Prime packages while Amazon Flex is only for Amazon Prime Now deliveries (1-2 hour delivery option). Since so many of you were curious about Amazon Flex though, I set out to find someone who had experience delivering for them. Today, RSG reader and first time guest poster Eric Kouvolo shares what his experience was like working for Amazon Flex and how it compares to rideshare. What do most drivers for Uber and Lyft say is the biggest reason they drive? Freedom and flexibility. Work when you want. Drive as much as you want. Be your own boss! These are the same reasons I tested out driving for Lyft and Uber starting over a year ago, and ultimately took the leap to leave my steady job recently. I did it because I am trying to grow my financial consulting business, and being on someone else’s schedule was really getting in the way of me reaching my maximum potential. “Do you make good money driving?” This is something I often get asked by passengers. Well… it depends. Living and driving in a new Uber market with a population of around 100K doesn’t have the steady demand as many big and established cities (Seattle is 80 miles away). The downside is I can’t control how many rides I get and sometimes I go offline, as waiting 30 minutes between “beep…beep…beep” isn’t the best use of my time. Would you rather get a guaranteed minimum 4% return every year for the rest of your life, or maybe 10%+ some years with the possibility of a -50% market crash the year before you retire? This is something I ask my clients when they are planning for retirement. While driving certain hours can be more profitable, the risks of passengers becoming unwell also increases. I prefer guarantees (without the mess). Have you heard people say “Don’t Put All Your Eggs In One Basket!” or “Diversify, Diversify, Diversify!”? Many investors have painfully learned that investing (betting) big on one thing is the recipe for financial distress. 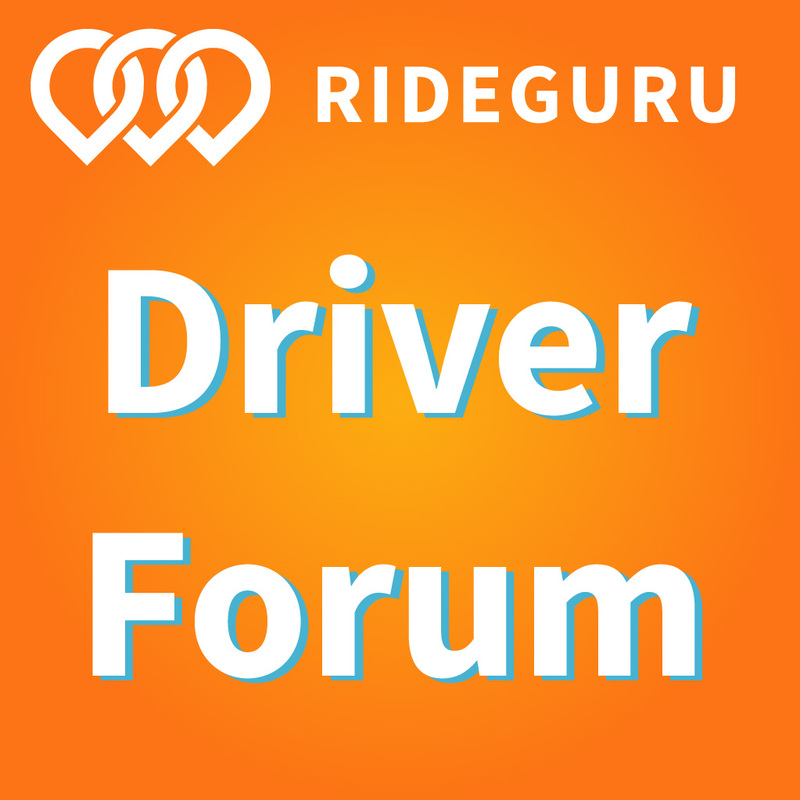 Recent fare reductions have impacted many drivers. 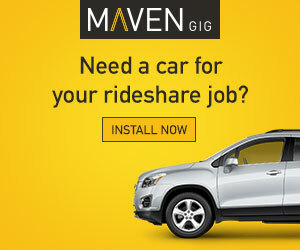 Why limit yourself to just Lyft or Uber as the sole source of income? I like options and it was time to diversify my on-demand income and flexibility. Ready To Flex? Hello Seattle! After applying via the website https://flex.amazon.com, creating an Amazon account, and passing a background check, Amazon sent me an email for an intro webinar. This explained the whole delivery process and what was expected from DAs (delivery associates). They shared a link to download the Amazon Delivery App (Android smartphone users only as of now). After downloading the app, setting up all my bank info, and watching a few short videos, I was ready to deliver! Amazon has two pickup locations in Seattle, and I showed up at their downtown warehouse which operates from 8am-midnight, 7 days a week. The week before, you can select what hours you are willing to drive and get preferred scheduling, or select day of and try to reserve 2 hour blocks. I was able to schedule 8-noon, 4-6, 8-midnight. Have You Ever Been Excited To Hang Out At The DMV? The waiting area in the pickup warehouse can be described as similar to a Department of Motor Vehicles office in decor, but everyone (Amazon employees, drivers, security guards) seems happy to be there and was friendly and talkative. Each time you arrive, you check in via the app and sign-up sheet to be placed in the queue for delivery. Free conversation and wi-fi helps pass the time as you wait for orders to start rolling in. Uber for Amazon? What’s the deal? Amazon Prime customers in select markets receive free 2-hour delivery or pay $7.99 for 1-hour delivery services (this service is called Prime Now). What do they deliver? What do you want? I was amazed at the number of toilet paper orders! Most packages are in a plain brown paper bag. It was Friday night, so I could assume by size, weight and age verification requirement, several deliveries included alcohol. Where was this when I was in college? Netscape and Yahoo could have been light years ahead of the game! Finally it’s your turn to deliver and one of the employees calls your name. You can get one package, depending on location and time requirements, or a whole cart if there are multiple orders on a route. With the app on my phone, I scanned each package assigned, swiped “finished scanning” and loaded my vehicle. Similar to TNC apps, Amazon shows an address and name you navigate towards. I switched to Waze as Seattle traffic can be horrible and sometimes the side streets are faster than freeways. Once you arrive, you rescan the package and see if there are special instructions (attended, unattended, call customer, check ID). Sometimes there are detailed instructions for delivery from the customer. If an attended delivery is required, you are prompted to select who was the recipient (customer, household member, front doorperson, receptionist). If there are any issues while delivering, it is easy to call Amazon support for further guidance and they were very helpful when I needed them. Once all your deliveries are completed for this round, you navigate back to the warehouse and get back in line for the next round. If you finish early, the app also has a notification if you are requested to do a food delivery from the zone where you are located. I did not get any of these, but Amazon did provide me a temporary hot bag. Editor’s Note: While you’re driving for delivery, make sure you’re tracking your mileage! Try Stride Drive, a free mileage tracker now available for Android and iOS. Unlike waiting for a ping from the college kid who just turned 21, and all his bros who somehow drank more than the birthday boy, the best part is you get paid a base rate of $18/hr. This is whether you are out on a delivery or waiting (at the Amazon-DMV) for the next assignment. I did not see any referral credit options, and this rate is ongoing, unlike other TNC driver hourly guarantees. Amazon advertises $18-25/hour, so of course I emailed them after my first day about getting a raise. Bonuses?! They said $18 is the guaranteed rate and the higher amount is ESTIMATED to include tips, of which you keep 100%. Customers have the option to add a tip within 48 hours of delivery. When rideshare driving, I tell my Uber passengers that while tipping is never required, it is always appreciated. Based on the hours I worked and what I expected to be paid, tips from Amazon added an extra 20% BONUS (10 hrs x $18= $180 + $36 tips= $216)! Thanks Amazon and satisfied customers! Similar to Lyft and Uber, I received a weekly earnings statement on Wednesday about my prior pay period (Monday-Sunday). My earnings were directly deposited into my checking account and available Thursday. While I am not a tax attorney, nor do I play one on YouTube, I highly suggest using separate accounts for business banking and your Amazon business account if you are operating an LLC or other entity. Is Amazon Flex Right For You? My overall experience was very positive and I look forward to delivering again with Amazon. It was really nice to listen to my music and podcasts (RideshareGuy included), without concern of someone making a mess, having a selfie contest or wanting to hit the drive-thru. 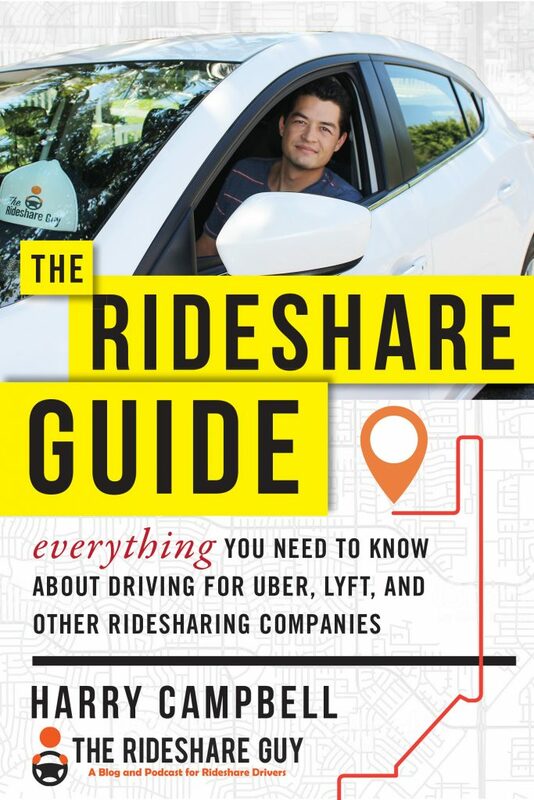 It could also be a great way for new drivers to learn a city without the pressure of a passenger, or a way for experienced drivers to supplement their Uber/Lyft fares. 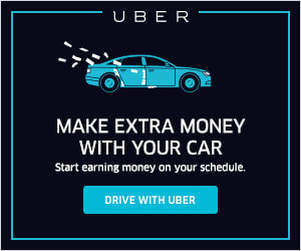 Depending on your market, you may not make as much as a full time Uber driver during surge hours. While packages don’t offer much in the way of conversations or crazy stories, the laid-back environment of delivering for Amazon was a pleasant change from the variable world of ridesharing. Best of success and happiness in all you pursue! Update (10/25/16): RSG reader Jason S actually created an awesome e-book about driving for Amazon Flex – check it out here! I applied for Amazon Flex, but haven’t heard back yet. How long does it normally take? Bio: Eric Kouvolo is a Wealth Strategist who helps individuals and businesses create guaranteed retirement and profit sharing plans. This allows clients to spend more time doing what they enjoy, not worrying about the next market crash! When not skiing deep powder, Eric is also a serial entrepreneur, Airbnb Superhost, and Uber/Lyft/Amazon driver. “You can always make more money, but you can never make more time.” Spend it wisely!